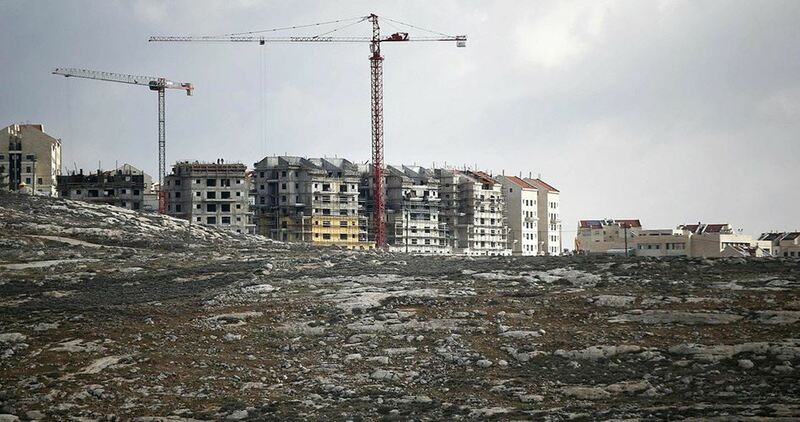 Israel's Prime Minister Benjamin Netanyahu said on Monday that Israel will soon begin the construction of 840 housing units in Ariel settlement in Salfit. Speaking during a visit to the scene where a stabbing and shooting attack took place on Sunday killing three Israelis in Salfit, Netanyahu said that he had given orders to demolish the house of the Palestinian attacker. "We know the identity of the assailant," Netanyahu said, adding that the Israeli army is in close pursuit. A Palestinian on Sunday morning carried out an anti-occupation stabbing and shooting attack near Ariel settlement in Salfit, killing three Israelis and injuring four others. The Israeli occupation army announced that the Palestinian is 19-year-old Omar Abu Laila, and at daybreak Sunday raided his home and interrogated his family for hours. 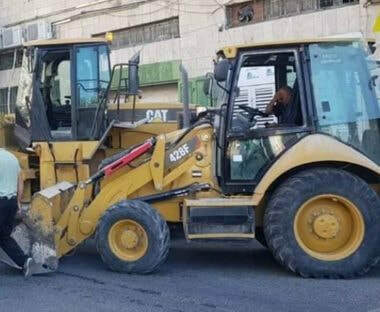 Israeli bulldozers belonging to the Israeli Civil Administration demolished two Palestinian-owned buildings and a wall in Wadi Ara region, in northern Israel, on Monday. The Israeli occupation forces on Monday morning broke into a Palestinian shop owned by Abu Laila family in Biddya town in Salfit. Local sources said that the Israeli forces blew up the door of a clothes shop owned by Mustafa Abu Laila during a raid on Biddya. 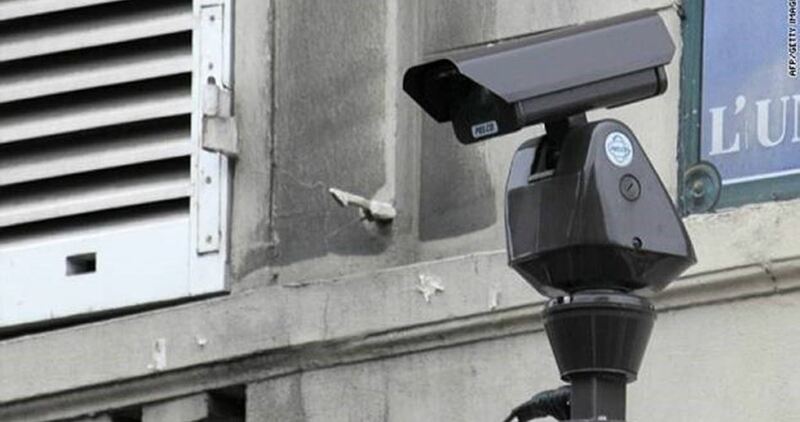 Hours later, the Israeli forces withdrew from the place after seizing the surveillance camera recordings of Abu Laila's shop, the sources added. Israeli settlers have set up several mobile homes in the southeastern part of the northern West Bank town of Kafr Qaddoum, to the east of Qalailia. Sources from the Anti-Wall and Settlement Committee’s Office, in the northern West Bank, confirmed that extremist Israeli settlers, under heavy military protection, set up several mobile homes or caravans near the Kedumim settlement, WAFA reports. This came as settlers stepped up their attacks against Palestinians in the northern West Bank, in retaliation for the killing of a number of Israeli soldiers and injuring another in a stabbing and shooting attack outside the settlement of Ariel, on Sunday. On Sunday evening, settlers hurled rocks at Palestinian vehicles travelling along Nablus-Qalqilia and Nablus-Tulkarem Roads, causing damages. They also attacked a Palestinian house with stones in Huwwara town, to the south of Nablus, shattering its windows. No injuries were reported to have occurred, in any of the attacks. Israel imposes harsh penalties on Palestinian stone throwers, as it passed a legislation, in 2015, allowing for up to 20 years prison sentence if charged with throwing stones at Israeli vehicles, and a minimum of three years for the act of throwing a stone at any Israeli. In contrast, Israeli settlers are rarely prosecuted under the same standards of the law. 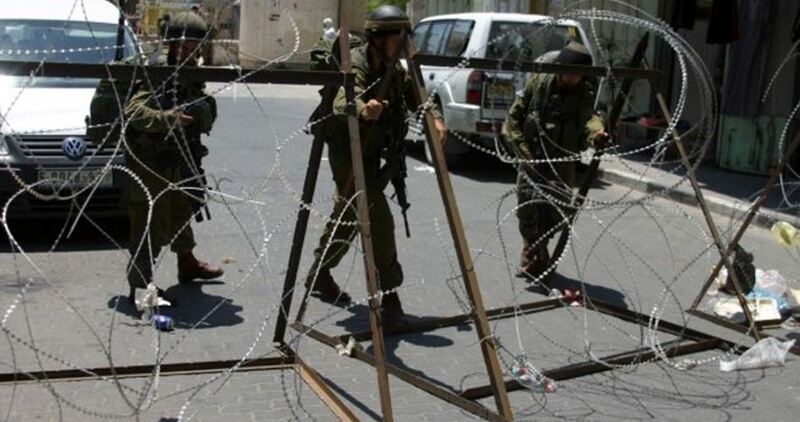 The Israeli occupation forces (IOF) on Saturday arrested two Palestinian young men in Jenin refugee camp. 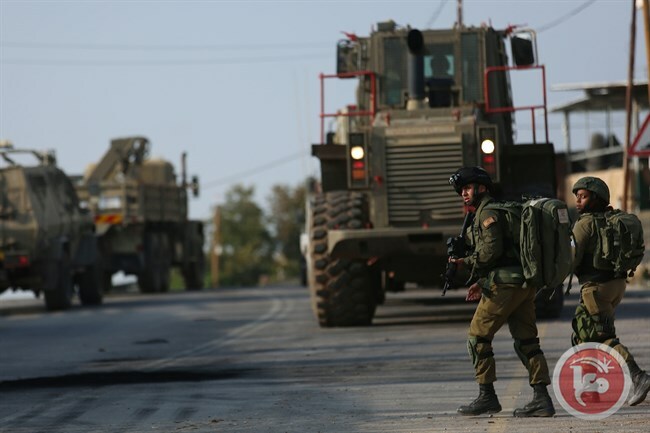 Local sources said that the IOF stopped a Palestinian car at a military checkpoint in the camp, forced the two passengers out, and took them to an undeclared destination. 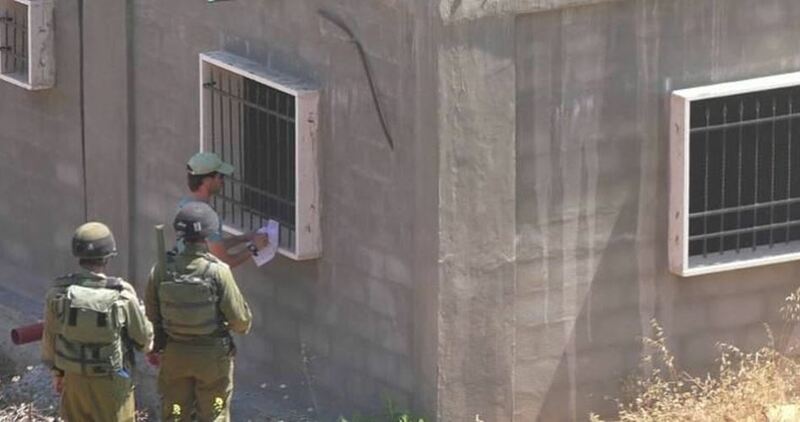 The detainees were identified as Salah Bani Gharra and Ahmad Abu Ragha, the same sources said, adding that the car was confiscated by the IOF soldiers. An Israeli court ordered the demolition of three houses in Qalansuwa City in central Israel, on Thursday evening. The Magistrate Court of Netanya rejected appeals presented by owners of the three houses in Qalansuwa against the demolition. 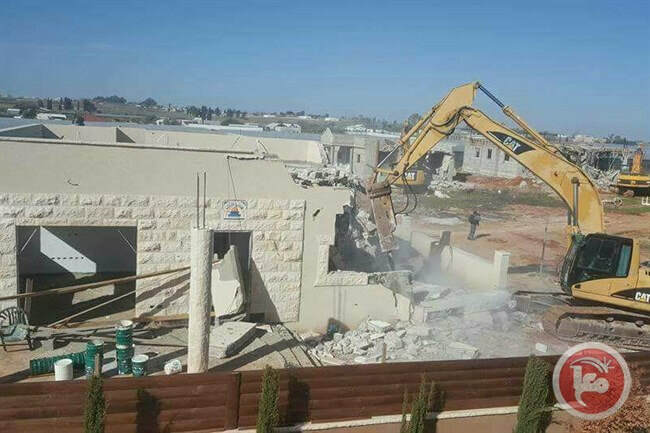 The court ordered the demolition of the three houses, under the pretext that the houses lack the nearly-impossible-to-obtain Israeli building permits. The three houses belong to locals Muhammad Odeh, Ismail Wawiyeh and Abed al-Hakim Hammudeh. 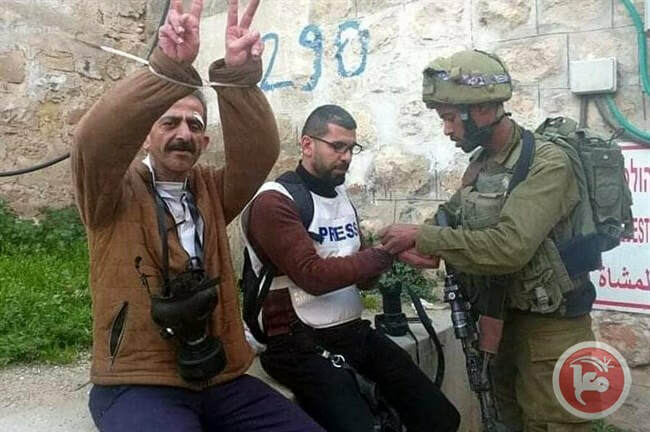 Israeli soldiers held a Palestinian journalist and an activist in the al-Shuhada Street in the southern occupied West Bank city of Hebron, on Wednesday, as they were documenting the soldiers’ violations against Palestinians. Palestinian activist with Defenders of Human Rights, Badie Dweik, said that Israeli settlers held journalist Amer al-Shaludi, and Defenders of Human Rights activist Zeidan al-Sharabati for more than one hour. Israeli bulldozers demolished two Palestinian-owned homes, on Wednesday, in the al-Qubbeh area, near Israel’s illegal separation wall, south of the central occupied West Bank district of Jerusalem. 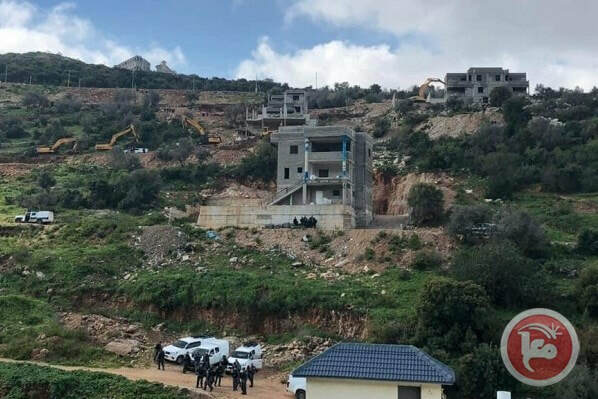 Iyad and Adi Edeis, the owners of the two demolished homes, said that staff from the Israeli Civil Administration along with bulldozers stormed the area and demolished the two homes. The owners said that Israeli authorities did not notify them prior to the demolition. The owners mentioned that the two homes were built several years ago and that 10 family members lived there. 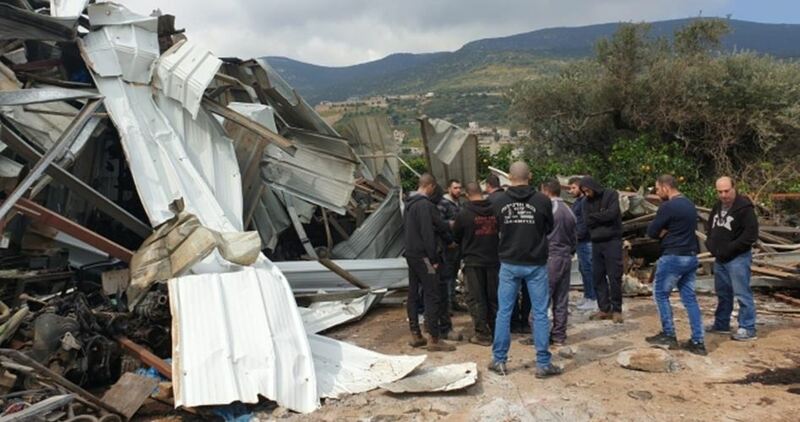 Israeli soldiers invaded, Wednesday, the city of Beit Jala, west of Bethlehem in the occupied West Bank, and demolished a barn and an agricultural shed. 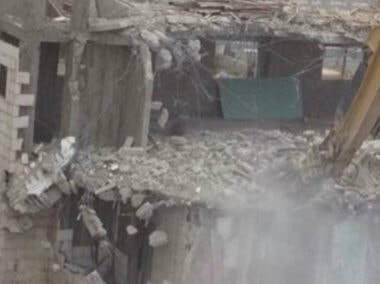 Media sources said the soldiers invaded Wadi al-Makhrour area, west of Beit Jala, and demolished a 120 square/meter barn, in addition to an agricultural shed. 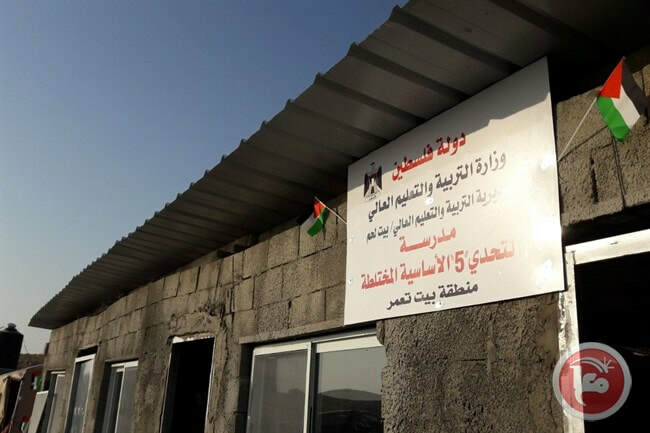 They added that the demolished structures are owned by a Palestinian farmer, identified as Bassem Zeit, and were built nearly two years ago on his own land. 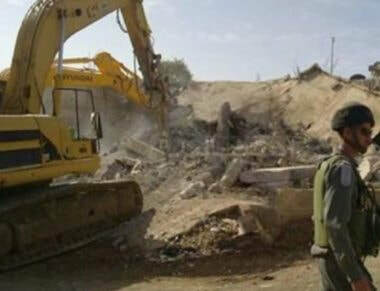 It is worth mentioning that Wadi al-Makhrour has recently witnessed serious Israeli violations and escalation, as the soldiers demolished many barns and sheds, and have been preventing the Palestinians from having any sort of construction in the area, for the benefit of Israel’s illegal construction and expansion of its colonies, in direct violation of International Law. 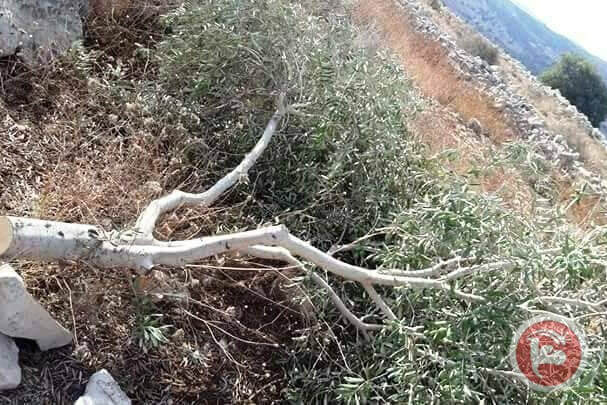 A group of Israeli settlers uprooted dozens of Palestinian-owned olive trees, on Tuesday, in an agricultural area near the Burin village, south of the northern occupied West Bank. Ghassan Daghlas, an official who monitors settlement activity in the northern West Bank, told Ma'an that Israeli settlers from the illegal Yitzhar settlement stormed an agricultural area near the main road of the settlement. Daghlas pointed out that about 33 olive trees were uprooted by Israeli forces and belong to Palestinian resident, Castro Mahmoud Qadrous. The Israeli authorities on Monday afternoon demolished a garage for used auto parts in ar-Rama town in the Galilee at the pretext that the place was unlicensed. The owner received a demolition notice issued against his garage a few days ago, but Israeli bulldozers escorted by police forces came suddenly and razed the place to the ground. According to Arab48 website, the owner had already been given 30 days to evacuate his garage and forced to pay financial penalties.